I have a belief this was the plan all along by Tusk, not give a good deal and watch the UK parliament go for a new referendum I believe a few UK politicians may have actually encouraged him in this belief. I think he has over played his hand personally and a hard Brexit is what will happen but the game is now beginning and the support for the myriad of options wanted by rival groups in Parliament will appear very soon once this pointless vote of no confidence is over tomorrow. Lengthy article, covers a lot of ground, including May doing pretty much nothing about Brexit for 2 years, apparently wanting Brexit to fail. ... Where are the British Yellow Vests? The mayor of Poland’s second-biggest city, Gdansk, was stabbed to death in public on a stage where he held a speech, Is that where we’re going? May did her best I would say however she had no idea how to manage the EU who are past masters at screwing people at negotiations. They played a blinder and the UK politicians who should have supported May were constantly sniping from the wings. We needed a better prime minister I do not think she was idle by any means just clueless. Had the main opposition party, Labour,actually abided by their general election promises of supporting Brexit she may have had a better deal but the obvious splits encouraged the EU to play hard and give such a bad deal they knew it would fail knowing that chaos would ensue. They are now gambling that there will be enough of their 'friends' in the UK parliament to force a new referendum and thus get the Remain vote they want but judging by the way Parliament is split just now I cannot see anything concrete emerging hence Hard Brexit will happen. This may all change next week off course when all the plans various parties have made for this point are taken out the cupboard as there are some seriously devious people working to bring down Brexit and they knew this would happen. 'Where are the British yellow vests ?' Oh come on we're not French ! Thats just not how we do things, although the Yooth do like the odd riot ( as shown in 2011 ) but only when they can steal flat screen TVs and the like. I disagree doing nothing is costing business a lot of money in uncertainty the sooner we finalise things the better. Sorry I should have been more specific I meant going forward not crashing out would preferable. I fully accept that the last 2 years of uncertainty has cost business, investment and sentiment. They had a vote to exit, and they voted to exit. All of the political sabotage that has occurred simply proves that the BREXIT vote was the correct decision. I do not believe all the garbage being spread that England will lose out in a "hard brexit" . The parliament has rejected May's stupid deal with the EU. England has survived much worse things in the past. I have faith in the English. I would hope that Queen Elizabeth steps in with a national speech backing a hard brexit, and stating that everyone will be fine. UK is the correct term England is not leaving alone there are 3 other countries. Its called democracy something many people in the UK just now are forgetting the meaning off, you cannot change direction every time there appears to be problems the decision was made everyone got a chance to voice their opinion, move forward there was always going to be a downside to leaving the EU was well as the upside which will come in the years after we leave short term there will be problems just like any divorce but when a union is not right its better to end it. The EU is not a charity - their obligation is to find the best model for the EU. As the UK government has an obligation to find the best model for the UK. If that means hard brexit then that's it. 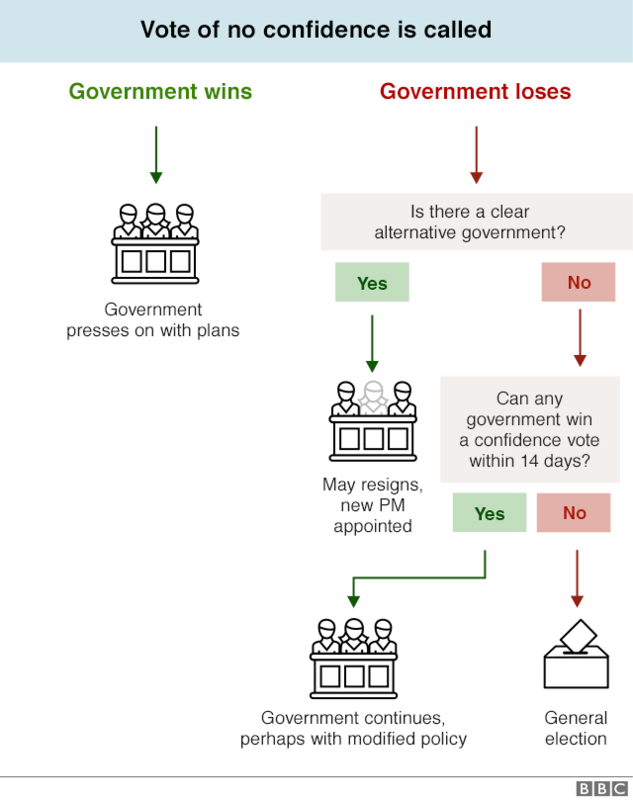 This is a decision for the UK parliament and voters. what I find interesting is that all of parliament really do not want a hard brexit - maybe the consequences will be different than what the politicians promised their voters.... that tends to motivate politicians. The EU side of the negotiations have been ideologically based and aimed at stopping the UK leaving the Union they have never negotiated on actually making a deal that works for both sides. The Irish backstop was never ever going to be acceptable to the UK government for the simple fact they need the support of the DUP to have a majority and the DUP will never support anything that might put Northern Ireland on different terms of trade than the rest of the UK and at the same time closer to the Republic. If Tusk thought the deal he offered was fair he is an idiot and I am certain he is not which means he knew he was offering an impossible to accept deal to force a crisis in the UK and therefore a new referendum. I think he is going to lose the gamble and will have to either backtrack fast on his red lines or accept a hard Brexit which does nobody any good. Many possibilities though are still open as discussions are only just beginning in the UK parliament to find something a majority can agree on but it looks like there isn't one so far which means hard Brexit by default. As far as I understand the EU will still respect a hard brexit, no? so what's the problem? If the UK can put UK interests first, then surely the EU can put EU interests first, no? Maybe the EU are walking a thin a line between giving as much as they can without being too generous so as to avoid others leaving? That to me is fair play. Yes the EU will respect a hard Brexit they have no option that is not a problem however the consequences are bad for certain countries in Europe and industries, for instance the German car industry will suffer massively as will Irish farmers, infact Ireland may need EU help to survive in the event of a Hard Brexit. Neither side wants this but currently the EU have not offered anything that will pass through the UK parliament they have to change what they are offering to stop Hard Brexit there is a massive majority against the deal on offer there always would be and they knew this they were not negotiating to make a deal that would work and in the end that is what both sides need. The UK does not want a hard border with the Republic neither does the EU so there is no real dispute but the EU insist on a deal that ties the UK to the EU until the EU unilateraly decides the UK has agreed to what the EU wants for a border, nobody in their right mind can sign up to that crap. don't forget the economic consequenses to UK. What of being tied to the EU while they decide what further concessions they will wring from the UK before agreeing to the Irish border being acceptable? No deal is far quicker and cheaper that signing a blank cheque to the EU. What of being tied to the EU while they decide what further concessions they will wring from the UK before agreeing to the Irish border being acceptable? No. Of a hard brexit. The choice at the moment is the EU deal with Irish backstop or Hard Brexit, Hard Brexit is the cheapest option doesnt matter the consequences taking an open ended commitment that the deal represents would ruin the UK. The EU need to offer something else not the UK. Sorry. Agree on that perspective. It is the way i prefer to view them.